Who hasn't wanted to get all rock 'n' roll once in a while and throw a TV out of the window or smash up a guitar? There are cheaper ways of releasing your musical frustration and the character of Verse in Fable Legends may just be the person for you. She likes to hit enemies with her over sized lute. 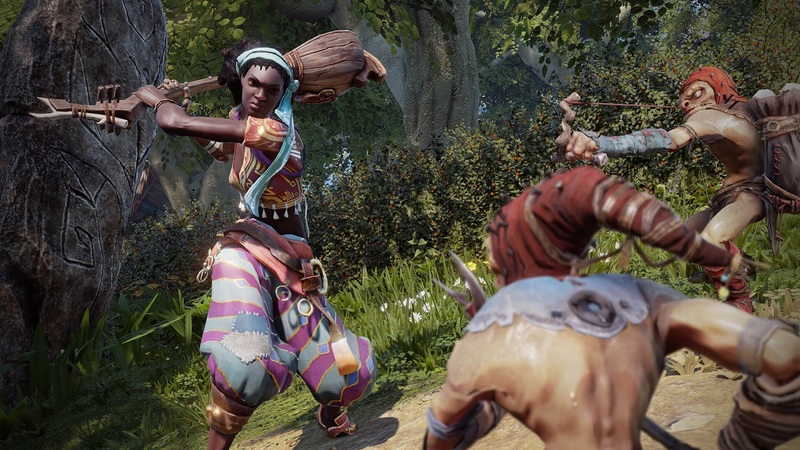 Legends is a 4 player online co-op game coming from Lionhead that is free to play. There are loads of characters to choose from and each one has a slightly different skill set, the best teams will match up the different styles to great effect. As long as there have been campfires in Albion, there have been storytellers. Regaling tales of great adventure and occasionally embellishing the truth with flavorful fibs, Bards use their musical talent to enrich their fables and enlighten their listeners. Legends is due out on Xbox One and PC in the coming months.